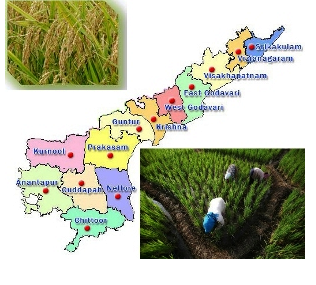 Food and Civil Supplies Department of Andhra Pradesh official website http://www.apcivilsupplies.gov.in/ . It's Provide all information about Ration card and their Hole services in their official website. Andhra Pradesh citizens can avail this services online, AP Civil Supplies Department are responsible to provide all kinds of activates online through the ePDS-Portal for Ration Card Details like to Check Status of Ration Card, Download Ration Card details,Get New Ration Card Application online,Online Complaints Registration, Meeseva Centres Search,Fire Price Shops is know as Ration shop details, Checking the mutations in Card or the Process for mutations along with Providing related to any of Ration Card in state. Household Consumer Card ( HCC) is Know as Ration Card. It's mainly used for Drawing subsidized Food and fuel (LPG and Kerosene).The Ration Card is important Document of the Indian Poor People for Substance,Eligibility , Identity and to remain connected with the Government Data base. A Ration Card is a document under an order authority of the state government under the Public Distribution System.The food and Civil Supplies Department of Andhra Pradesh has distribution of Commodities viz. Rice,Wheat,Sugar,Kerosene,Palmolien Oil and Red gram Dal through Fire Price Shops (FPS) ( Ration Shops) under the Public Distribution System (PDS) at Subsidized rates through issue of Computerised Card, Consumer affairs, monitoring of Price of essential Commodities. 1. White Ration Card (D Card) : White Ration Card are issued to with an Income of less than Rs 11000. applicable all benefits under the Public Distribution System. 2 Pink Ration Cards (ABC Cards) : Pink Cards are issued to People with an Income more than 11000. How Get New Ration Card Application online ? The New Ration card Application now available from meeseva Official website ,Where The Andhra Pradesh Citizens can Download the form in Pdf file and can take Print out. Click Below Web link and download AP New Rashan Card Application online. Where to Apply New Ration Card in Andhra Pradesh? After getting the e-Application Form, Fill necessary details and Collecting all the documents Visit your Nearest Meeseva Center, where they can submit their request to get the New Ration Card of Food and Civil Supplies Department of Andhra Pradesh. How to Search Ration Card Details online ? AP Civil Supplies Department Now Provide Ration Card details online, Andhra Pradesh Citizens Can Check their Ration Card details online.to know your Complete Details of Ration card Click Here Check Ration Card Details online. thanks for the useful information. i wanted complain about the people who have white ration cards though they are very rich and no chance of BPL. how to complain about them.